Pastor John has been on staff, along with his wife Debbie, since 1996. He has felt called to support the ministry of VBF in any way possible. 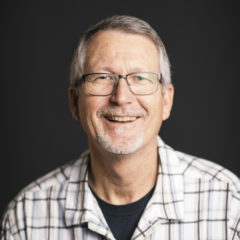 Although John’s area of expertise lies in audio production, he currently assists at the Ventura Campus and in any other area of ministry that he is needed. Proverbs 3:5 & 6 is a guiding scripture in John’s life.